Prodrive will add a seventh Supercar to its fleet for the Red Rooster Sydney SuperSprint, entering Richie Stanaway in Round 5 of the Dunlop Super2 Series. The outing will strengthen Stanaway’s preparation for the PIRTEK Enduro Cup, where he is due to partner Cameron Waters in the #6 Monster Energy Ford. Stanaway impressed on his Supercars debut in Prodrive’s fourth entry alongside Chris Pither last year and is making no secret of his desire to join the category full-time. The 25-year-old’s Sydney entry will wear the #6 and be backed by ActronAir, MEGA Fuels and All Safe, with a livery to be revealed next week. 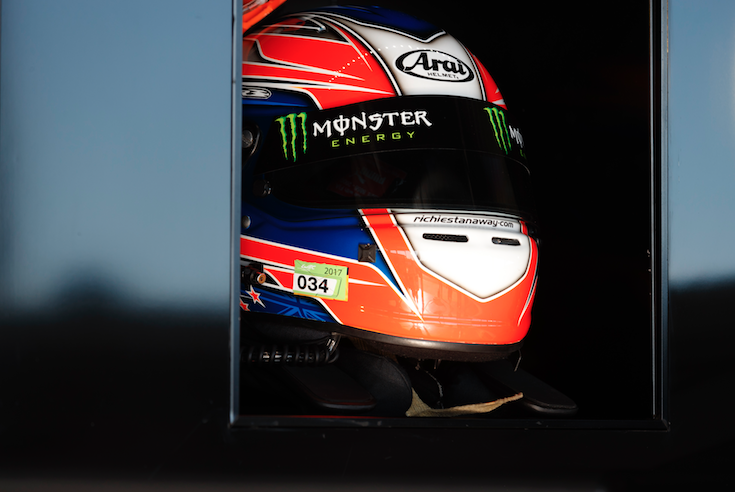 Stanaway will test the car – which is the chassis raced by Jason Bright earlier this season that competed in Super Black colours last year – in plain black at Winton tomorrow, where he’ll be assisted by Waters. It is expected that Stanaway’s Sydney entry will be engineered by the squad’s engineering manager, Nathaniel Osborne. “It is going to be a great opportunity for me to get some racing mileage without the pressure of sharing the car with another driver in the main series,” Stanaway said of his Super2 outing. “Racing in Sydney means I will come into this year’s enduro campaign a lot better prepared than I was last year, so I am grateful for the opportunity and quite keen to see how I stack up against all the other young guys. “I’ve done a decent amount of testing miles now but you can never simulate a racing environment so it is going to be good to get more race miles under my belt. Prodrive team boss Tim Edwards signed a two-year co-driving deal with Stanaway at the beginning of this season and is eager to give the Kiwi as much seat time as possible. "Getting Richie back was a no-brainer after his efforts last year in what was not only his debut with the team, but also his first ever Supercars races," Edwards said. "His vast experience and success overseas counts for a lot and we expected him to deliver, though to do what he did at Sandown in very difficult conditions, in his first ever race, that showed his potential. "Entering him in the Super2 event in Sydney will give him vital additional track time, plenty more races and a chance to practice starts and further hone his race craft in a Supercar. "It's a free event for him given he's not contesting the championship. There will be no pressure which is rare for a racing driver so we are all looking forward to what he can do.